Earlier in 2016, the popular Chinese arcade stick manufacturer Qanba released its first PlayStation 4 model: the Drone. 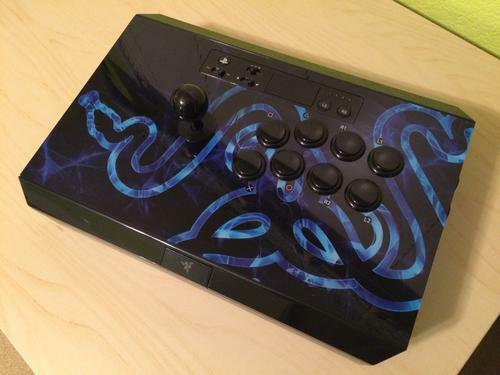 While the stick was made as a budget option for those new to fighting games, people were left wondering when the higher-end models would start arriving. I recently had the chance to try out the Crystal, the first of two made for dedicated players. Based on the Q2 series of arcade sticks, and a direct descendant of the Q2 Glow, the Crystal arcade stick is Qanba's second major offering for the PS4. While the Drone has a small form factor, the Crystal is bigger and more developed. On the surface, the Crystal does look similar to its predecessors but some of its changes, both visually and technologically, might help someone looking for a more fleshed-out arcade stick from Qanba. From left to right: IST FLF-ST, Crown 309MJ, Crown 309 HelpmeAfter some time of waiting for importing opportunities, here are some newer Korean arcade parts. Crown's past arcade levers had a distinctive feel compared to those of competitors Myoungshin and the now-defunct Taeyoung. Not all players and arcades in South Korea were favorable to those models and leaned towards the solid Myoungshin Fanta lever, so Crown looked to provide a lever that can compete with it. 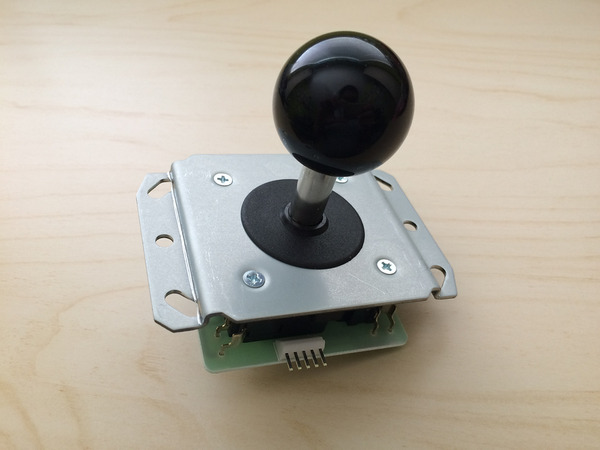 For arcade stick manufacturer IST, known for selling Crown parts, the company is looking to make its own lever similar to that of Crown's Japanese-mounted variants. When it comes to aftermarket arcade stick parts, Japanese arcade parts manufacturer Seimitsu is usually an alternative to Sanwa Denshi. The latter company caters more to general arcade stick users, with the former more for those players with specific needs. 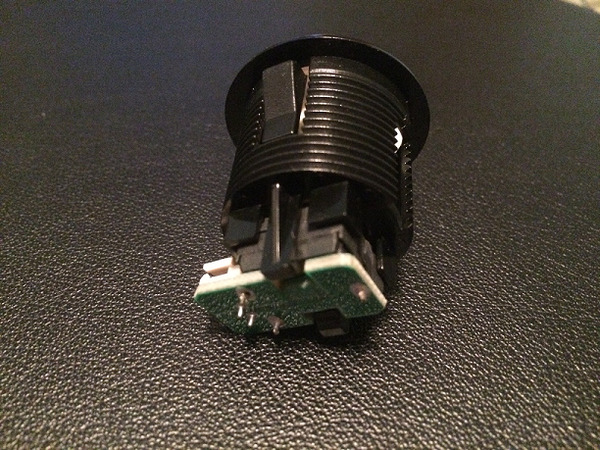 For example, the LS-32 lever, one of Seimitsu's popular products, has a distinctive feel compared to Sanwa's JLF. The LS-32 is also different from that of other Seimitsu levers, including the recently released LS-62-01. Judging from the specs, the LS-62-01 is sort of an amalgamation of previous levers. While past Seimitsu levers were mostly different from one another, the LS-62-01 seems like more of a greatest hits lever. However, it still seems to carry the uniqueness the other models bear for better or worse. It feels like an experimental design, but for what it is this new lever is pretty capable. After a small period of depending on arcade stick parts from Sanwa Denshi and Seimitsu, Hori reentered the proprietary parts market with the Hayabusa lever and Kuro pushbuttons in 2012. 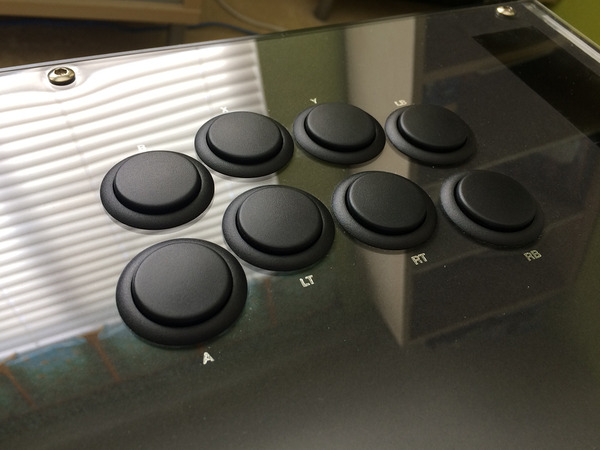 The buttons, when packaged with the Fighting Edge arcade stick, seemed to feel pretty good and sort of comparable to the popular Sanwa OBSF-30 series to this reviewer but the rest of the world didn't agree. It became apparent, however, when Hori began to sell the Kuro buttons separately that something about them felt off. They didn't feel the same as the Kuro set in the Fighting Edge. While they still perform decently, the Kuro buttons later became something I wouldn't recommend. Hori listened to that lukewarm reception and began developing new proprietary pushbuttons. Introduced in the current line of Real Arcade Pro sticks, Hori's Hayabusa button was made to alleviate the problems found in the Kuro model. Even if it seems odd that the Hayabusa name now encompasses both the lever and the buttons, it looks like Hori is letting players know both are of arcade-level quality. Despite some quirks, the Hayabusa button so far improves on its predecessor. 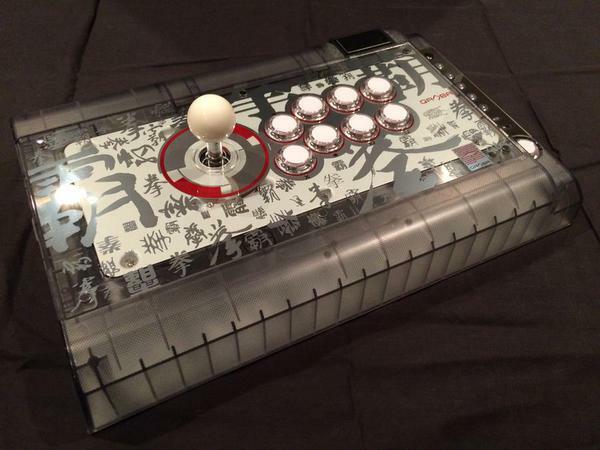 For arcade stick users, getting one for the right platform has become a bit complicated in recent years. While one tournament might run on one console, another event might prefer a different one. 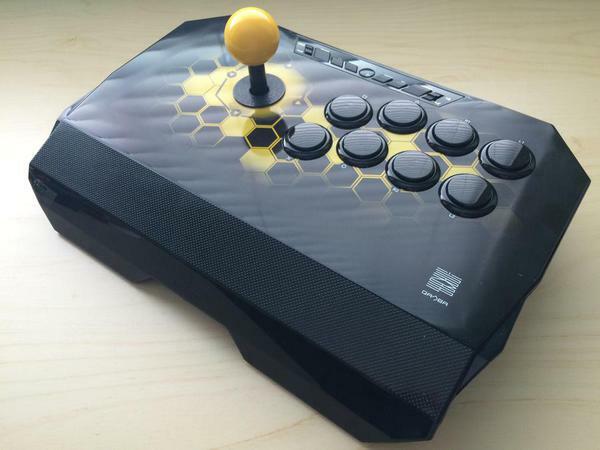 Modders in the fighting game community for years have found many solutions to give people the opportunity to play on the latest platforms without paying for another stick. Some products required soldering skills while others didn't. 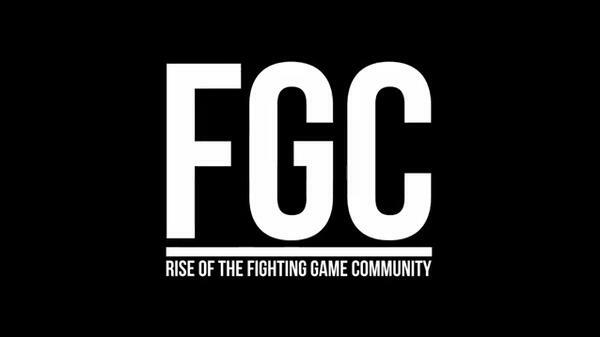 With the new generation of fighting games being released more on PlayStation 4 rather than Xbox One, it's easier for players to know what they should get. But just in case, you still might want to have a safety net. 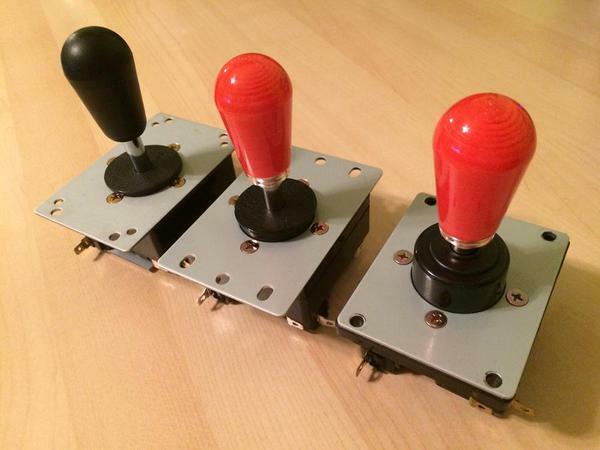 There is also the situation of people who still want to use their older arcade sticks. The Universal Fighting Board from Taiwanese company Brook is one of the better answers at the moment. 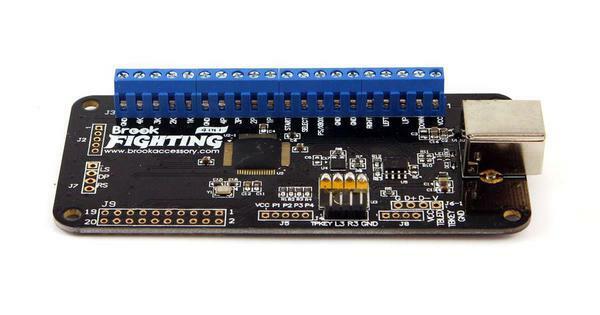 Its built-in Xbox 360, Xbox One, PlayStation 3 and PlayStation 4 support is already convincing enough, but combined with its simple design the Universal Fighting Board is one of the most exciting products in fighting game tech to date. Originally, the only way to get the sensitivity of an arcade stick pushbutton while having the longevity and characteristics of the Cherry MX keyboard switches was Gamer Finger's HBFS series. While excellent buttons, a majority of fighting game players who play on arcade stick still use Sanwa Denshi buttons as they're considered the competitive standard. Sooner or later, Sanwa's buttons do have the potential of breaking down, especially with its stock switches. 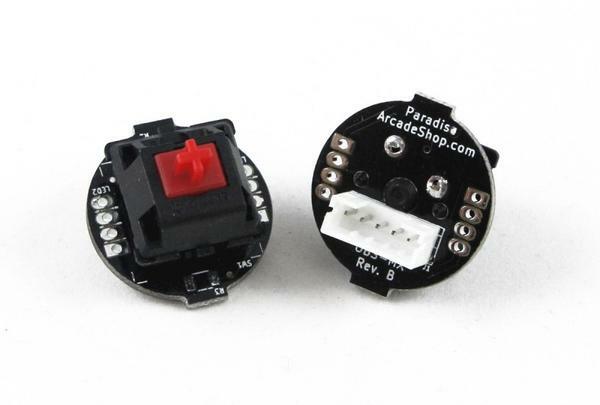 While it can be convenient to buy replacement buttons, there is an accessory for those who want some variety in their Sanwa buttons while not steering off the course.